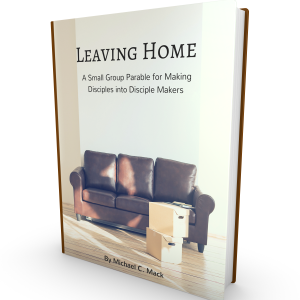 View cart “Leaving Home: A Small Group Parable for Making Disciples into Disciple Makers” has been added to your cart. I had the privilege to help develop this study along with the editors at LifeWay with Pete Wilson. This study hits important topics every person in your small group faces every day—and every night. What Keeps You Up at Night? Bible Study Book includes a small-group experience for six sessions and individual study and learning activities between group sessions. It also contains relevant Scripture, open-ended discussion questions, provocative insights, and guided prayer. Uncertainty is paralyzing. And today’s world, with all its expectations, responsibilities, and shortcomings, has created an environment ripe for the kind of uncertainty that has shackled an entire generation. Technology, for better or worse, has ushered in an unprecedented age of skepticism and information access. We want our questions answered, our decisions affirmed, and our plans applauded. The perpetual problem inherent with these postmodern expectations is that life—with all the information and media within our reach—rarely follows a straight, predictable path. That is, we’re immersed in uncertainty that conjures paralysis-inducing fear. This small-group Bible study helps participants activate faith and trust in God that will propel them forward through fear and anxiety to peace, faithfulness, and trust. Get a proper understanding of the nature of fear. Develop habits for coping with fear and get tools for remaining in motion toward an anxiety-free life. Learn to move forward despite doubts, questions, and fears as you step toward your purpose-driven adventure with God. Replace your uncertainty with a practical plan to develop your faith. Move confidently into the future even without knowing every detail of God’s plan. Find rest in the knowledge that God is working even when you are waiting. Escape the trap of needing certainty and learn to trust God through times of transition. Enjoy personal spiritual growth through individual study between group sessions. Author: Pete Wilson is the founding and senior pastor of Cross Point Church in Nashville, Tennessee, a committed church community that he and his wife, Brandi, planted in 2003. Over the course of 10 years, Cross Point has grown to reach more than five thousand people each weekend through its four campuses located around the Nashville area and online. Pete gained national attention with his best-selling book Plan B, a title that has been printed in five languages and launched Putting Plan B into Action, a six-week DVD curriculum that serves as a study companion to the book. Empty Promises, Pete’s much-anticipated second book, followed. He is also the author of Let Hope In.